Each of the 40 rooms at Cliff at Lyons are individually designed, spread out in a number of different historic buildings. Irish Tradition old and new has inspired the design. Our two and three bedroomed Cottages suit families and groups and are decorated in a traditional cottage style. 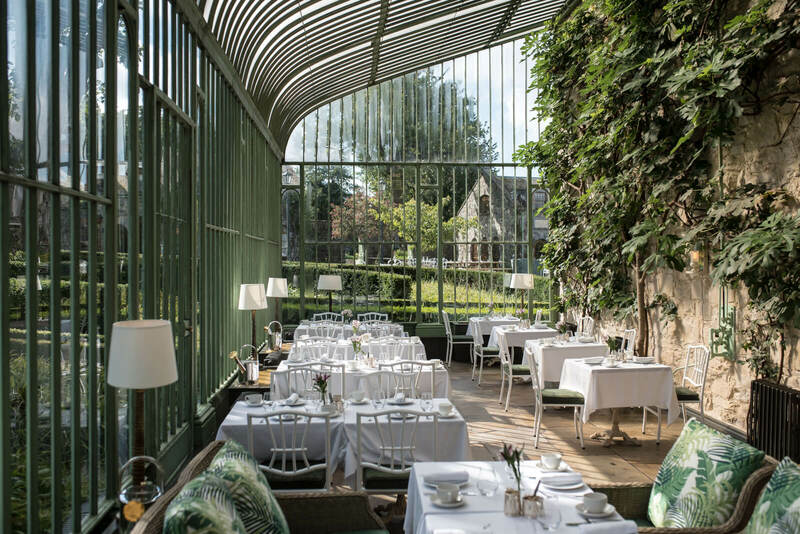 The orangery restaurant dominated by glass walls and domed ceiling is as elegant in construction as the simple design of each daily menu. Trellis Café offers a relaxed informal style of dining and is located in Doves square just outside the main Mill House. Aimsir, an elegant new restaurant exploring the Irish larder, inspired by the idea of climate and how it controls what grows and is harvested – and how that discovery influences our mood and our plate opens in Summer 2019. 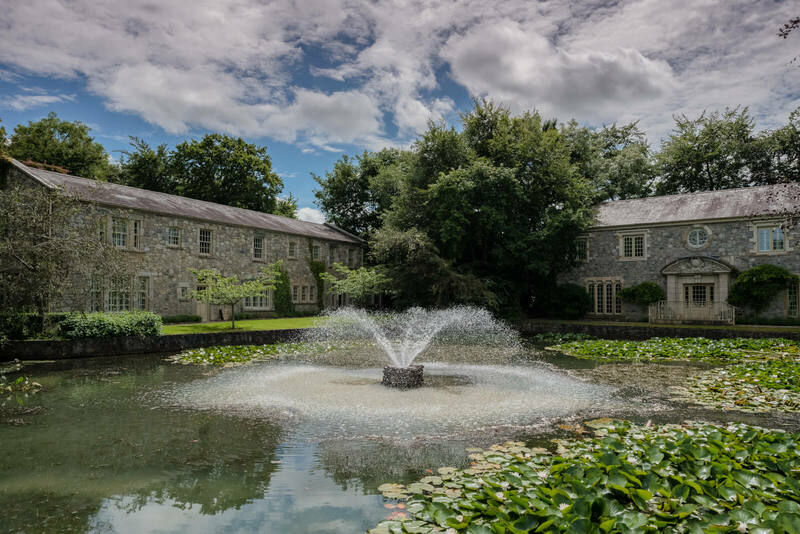 The well in the Garden our luxury spa is where holistic Irish wellness can be enjoyed in a serene canalside location. Naturally Irish, sourced from native soil and local Flora, our custom spa products have been made to nourish the body and transform the skin.